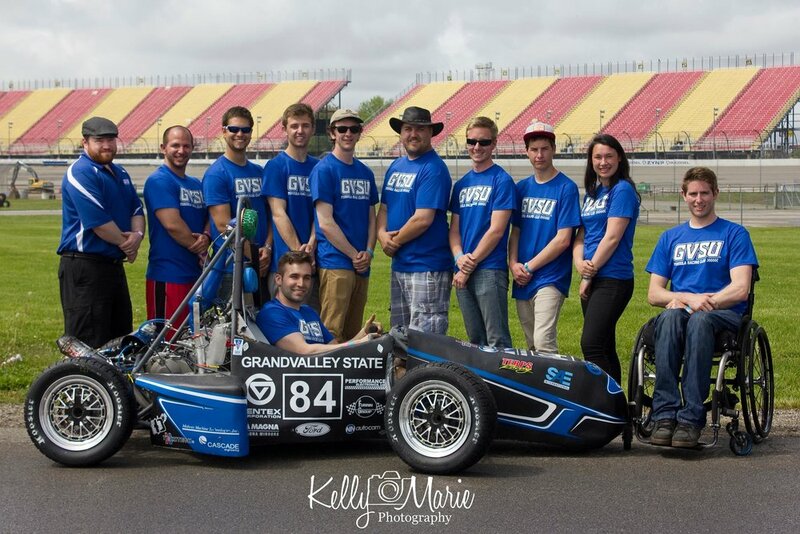 The Formula Racing program at Grand Valley began 4 years ago during the 2014-2015 school year. 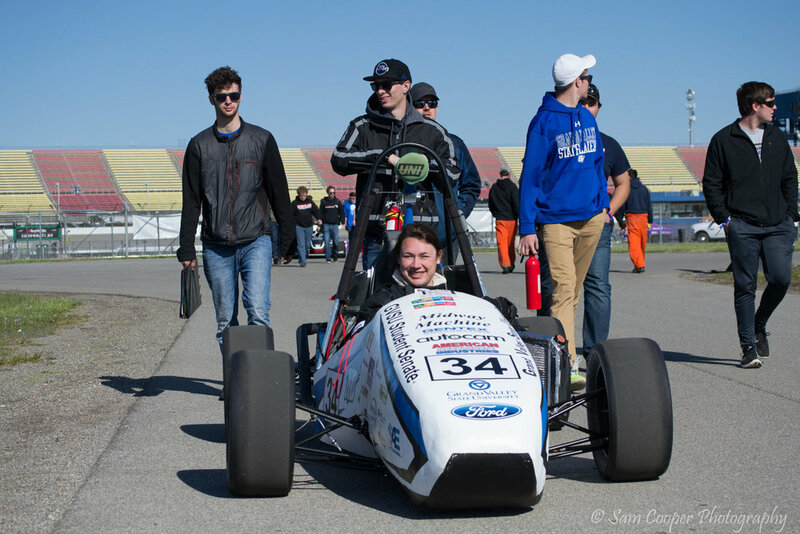 With the support of the university and several local companies, the team organized with the goal of building a working car that was capable of successfully competing at the international level. Our first race was at Michigan International Speedway in spring 2015. Being a new team, Laker Racing faced competition with far larger budgets, more extensive legacy knowledge, and facilities beyond our resources. In spite of this, we received positive feedback from the judges and other competitors, who applauded us not only on our car, but also on our organization as well. Working alongside other experienced teams at MIS allowed us to grow and gain valuable knowledge, which we put to use during our second season. Building on the success of the prior year, the 2015-2016 season was focused on improving our car and team using the lessons from the first year. Just like in real-world industry, some adaptations were technical, but many others were logistical. We were able to make significant enhancements to the car and grew as a team to include more members from a wider variety of disciplines across the university. Participating in the Formula SAE competition in Lincoln, NE this past June, we greatly improved compared to the previous year, placing in the middle of the field.